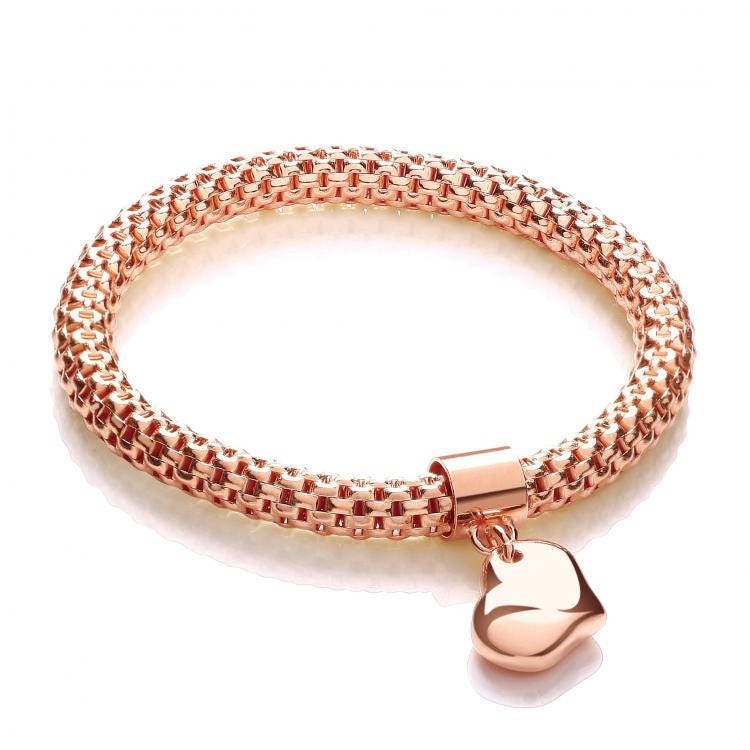 The chic heart pendant gives this rose gold on sterling silver mesh bracelet an eye-catching extra elegance. You'll love to wear this heart on your sleeve. Hollow heart charm measures 1.5 x 1.0cm. 925 sterling silver.